To find affordable airline tickets and the best accommodation available, you should start planning your trip at least two months in advance. To help you know what weather to expect months in advance, here's a list of high seasons in some of the most popular Asian and African destinations. Remember, high season doesn't just mean crowds and high prices, but also mild weather that won't spoil your vacation. Morocco: The high season starts in November and lasts till March. If you don't plan on visiting the hot deserts in the south, you can avoid crowds in Casablanca and Marrakech in October and April. Thailand: From November till February temperatures stay below 30ºC and humidity is at a normal level. That goes for most of Thailand except Koh Samui - it's best to go there between April and September. India: To avoid the monsoon, visit India between October and March. In Kolkata and Northeastern India, the high season ends in January, while in the Himalayas it starts in February. Japan: Although Japan spans several climate zones, the weather stays agreeable throughout the country in October, November, April and May. Don't forget to buy the rail pass before you get there, it's much cheaper for tourists if bought from abroad. China: If you can still find good deals, October is said to be the best time to visit China. If not, you can explore the south of the country throughout the winter and north from March till May. Avoid June through September due to high temperatures and crowds. Safaris in Eastern Africa: Although the usual time to go on safari is from June to October, the Serengeti and Ngorongoro areas are home to giant herds calving in December and January, which is also the best time for gorilla watching in Uganda. 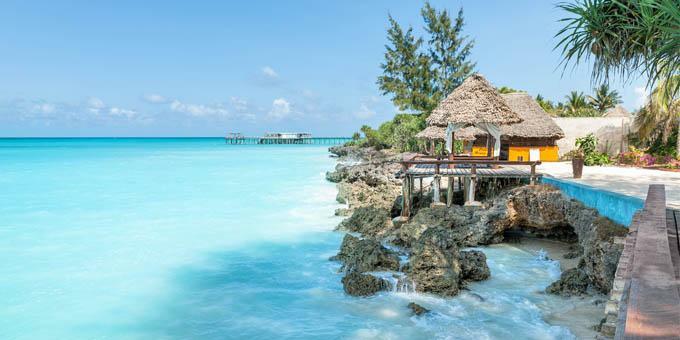 Zanzibar: This paradise island has its high season from November till March, which is also the best time for divers on the south coast. Just after you book your flight tickets, book a GoOpti airport transfer as well. That way you'll get an affordable price and peace of mind.